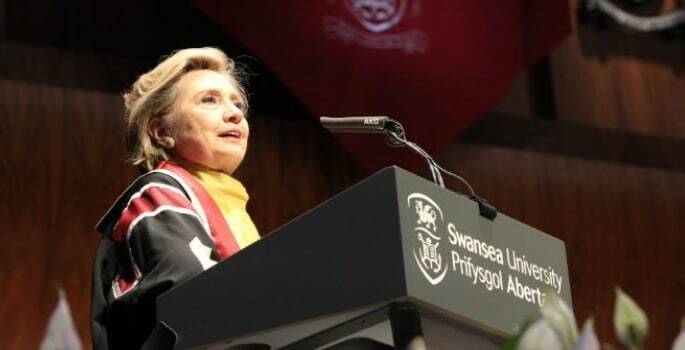 During the congregation, Mrs Clinton spoke about how Wales is close to her heart due to her family connections to it, and joked how she could neither confirm nor deny that her presidential campaign slogan, Stronger Together, was inspired by the Welsh football team’s Together Stronger slogan. Mrs Clinton later delivered a speech entitled Children’s Rights Are Human Rights, and spoke of how she feels a special connection to the work of Swansea’s Observatory on Children’s Rights, and that it means the world to her to have the University’s Hillary Rodham Clinton School of Law named after her. 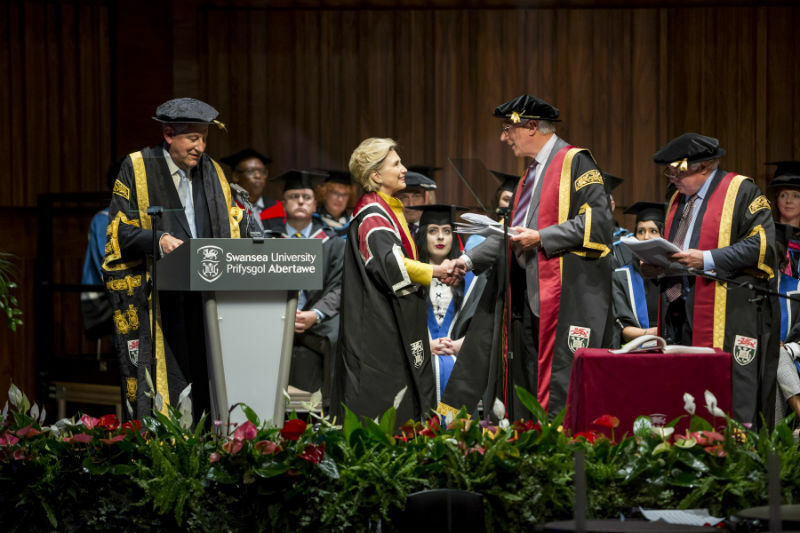 Mrs Clinton later stated that she would return to Swansea’s Bay Campus in the future, and would drive the mission of the Law School for generations to come; that children’s rights are human rights. 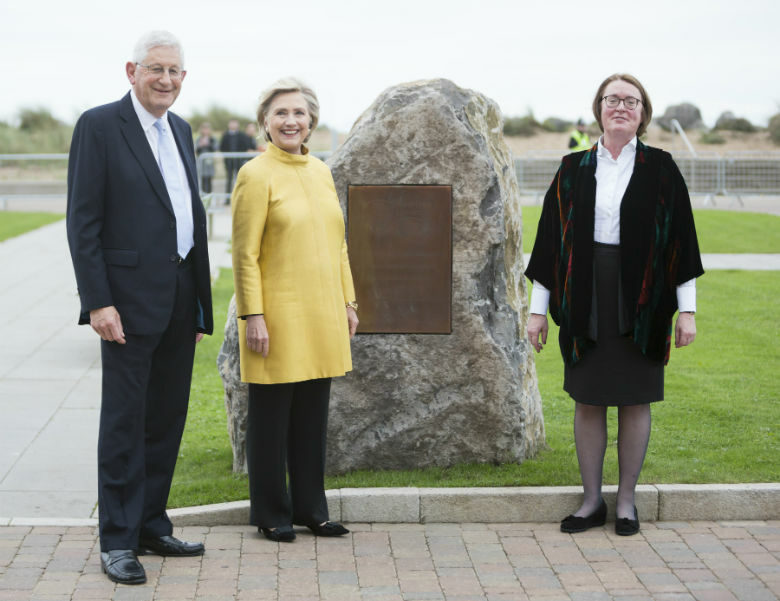 Vice-chancellor of Swansea University, Professor Richard B. Davies, said: “Mrs Clinton is, without doubt, one of the most powerful and important women of the age. Her influence on recent and current US domestic policy and on global affairs has been colossal. In awarding this degree and in renaming our Law School as the Hillary Rodham Clinton School of Law, we symbolise our support for the values of social justice and rights that have been her hallmarks.